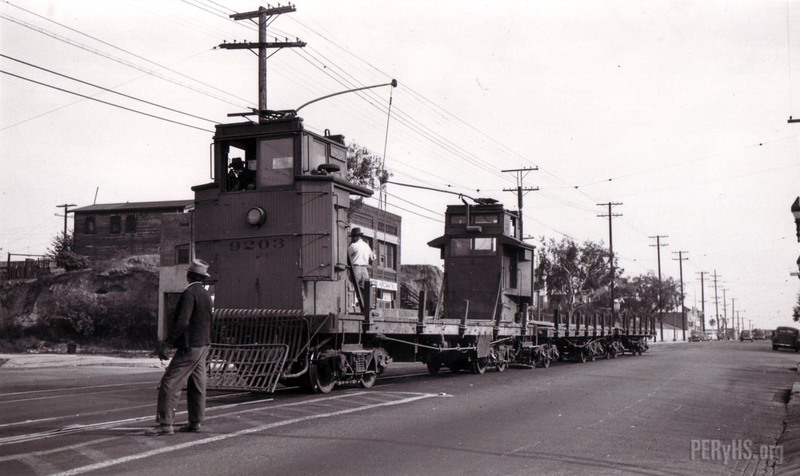 Los Angeles Railway maintenance car no. 9203 stops momentarily on its maintenance run. Note the two flatcars in tow carrying replacement rail.